PILOTS BESTS: Most games (66); most earned runs (99); most games finished (38); most games won in relief (7); most saves (12); most assists by pitcher (23). HONORS: American League ERA champ (2.56) 1971. 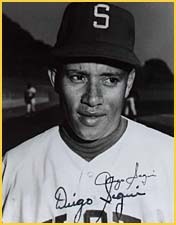 FACT: Diego and son David both played for the Seattle Mariners.